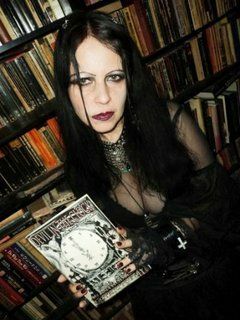 As her first new release in 2017: We present Alexis Child's epic "Devil in the Clock,"
poems and a long-awaited wish come true. web, and in countless magazines. 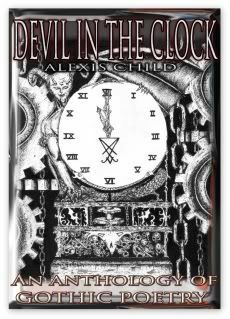 "Devil in the Clock" is Now Available for Purchase for $19.95 and all forms of payment are accepted! with Child's haunting poetry, I knew I was in for a sleepless night. expressions and observations of all things sinister and wicked are quite penetrating. One imagines a cloaked enchantress uttering these invocations from deep within her lair. an architect of nightmares, Child does not disappoint. Copyright © 2018 Alexis Child. All Rights Reserved. reproduced, or used for any other purpose without permission of the Author.